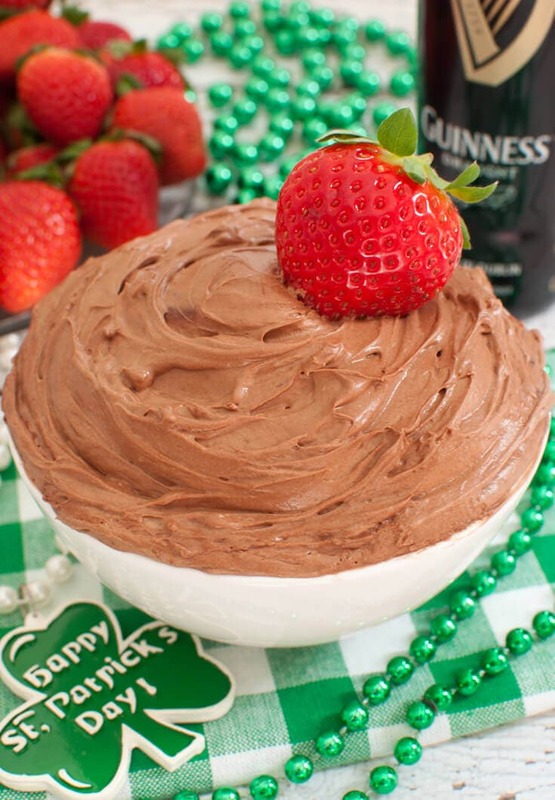 A creamy, fluffy Guinness Chocolate Stout Fruit Dip is made with Guinness stout beer and cocoa. 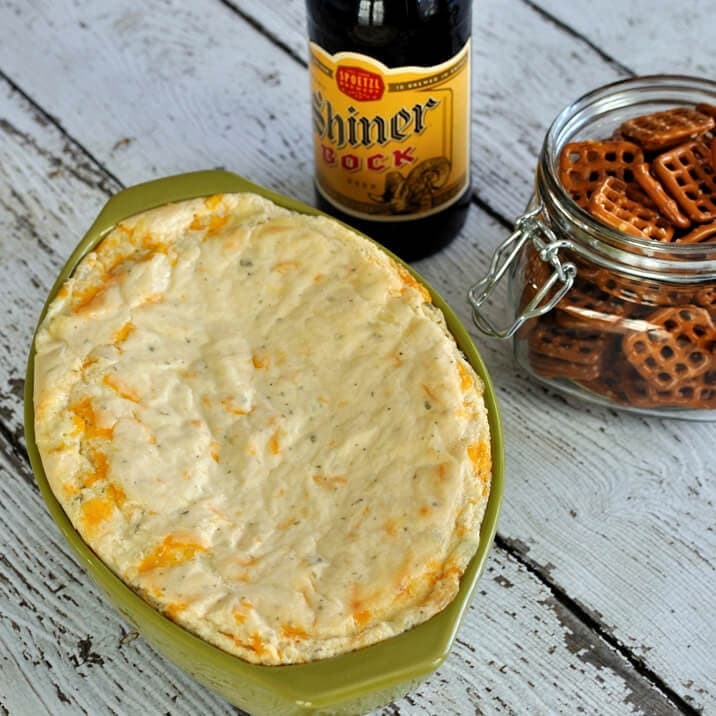 This adult treat makes a great appetizer or dessert and takes just a few minutes to whip together. The month of March tends to have a lot of activities associated with it. There’s March Madness (my husband is one of those guys 🙂 ), St. Patrick’s Day, the start of the Spring season, and many times Easter is in the mix. Plus for me, it is my birthday month! Whew, that’s a lot of stuff going on. I also have a bit of a dilemma too when Easter and St Patrick’s day are so close together, which one do I decorate for? Or do I put out decorations for both at the same time? Ah, the serious stuff in life, lol. 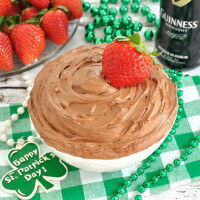 Serve this Guinness Chocolate Stout Fruit Dip with some fresh, juicy fruit like strawberries and tell people there is beer in it, I guarantee it will be a hit at your St Patrick’s Day party. If eating fruit involved alcohol all the time, then maybe I’d actually get my daily serving amount on a regular basis 🙂 The calories form the beer won’t count in my diet either right? Happy St. Patrick’s Day and remember to where your green so that you don’t get pinched! Fluffy and boozy fruit dip is perfect for St Patrick's Day or your next party. 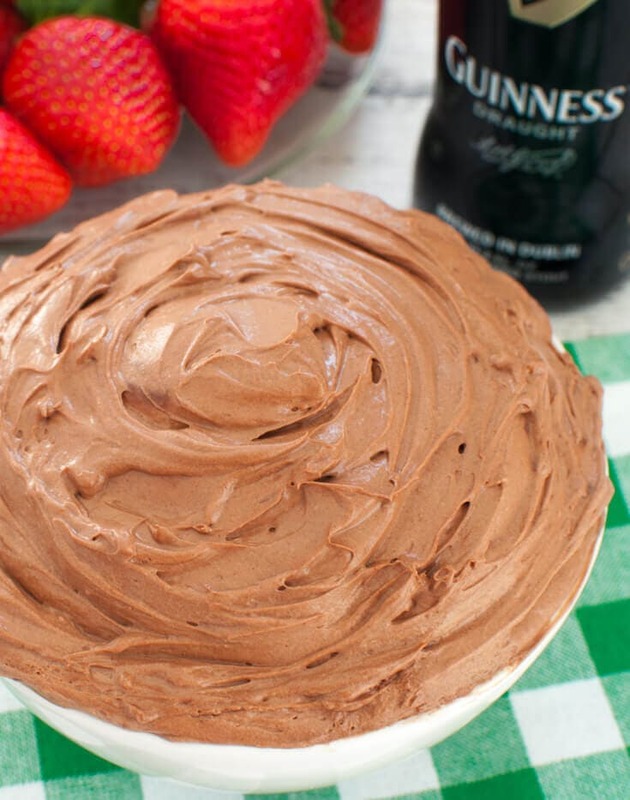 This Guinness Chocolate Stout Fruit Dip makes a great appetizer or dessert and takes just a few minutes to whip together. In a small bowl, add the heavy cream and Guinness and whip until soft peaks form. Set aside. In a medium bowl, beat the cream cheese until smooth, slowly add in the powdered sugar. Add in the vanilla and cocoa powder and mix until well combined. Fold in whipped cream mixture. 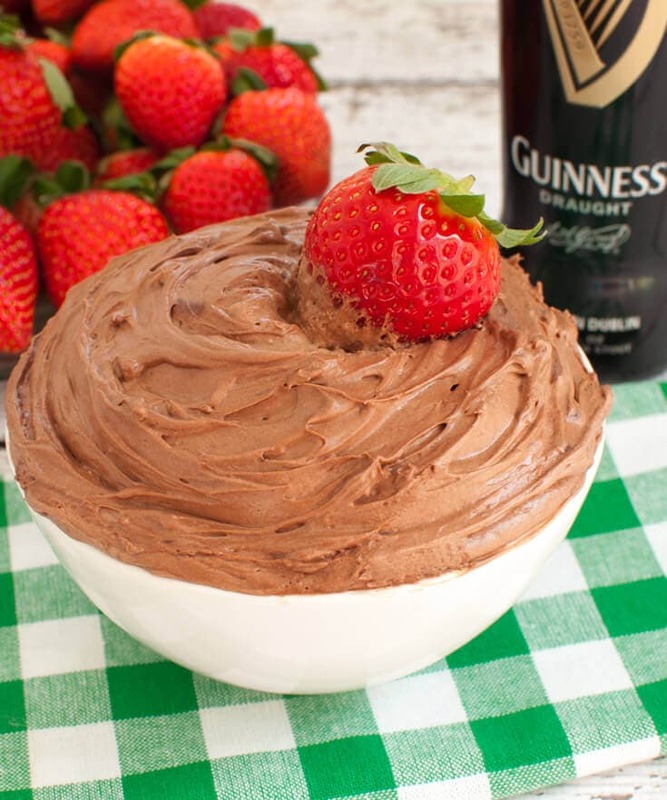 Serve this Guinness Chocolate Stout Fruit Dip with your favorite fresh fruit such as strawberries, pineapple, or apple slices. Welcome to my food blog where you will find a huge collection of easy dip recipes for any occasion.